If I had to pick something to top my bucket list in life, it would be to visit the entire Australian continent, one state at a time. I’ve checked Perth and Melbourne off the list, and I’m so in love with how both the city and countryside are within a couple hours’ drive of each other. We spent our time in Sydney city for two days to witness the spectacular Vivid Sydney 2018 in full glory as the Sydney Opera House lit up, along with various installations such as the 1,000 Cranes (pictured above) with origami cranes that illuminated the canopy when visitors walked under it. 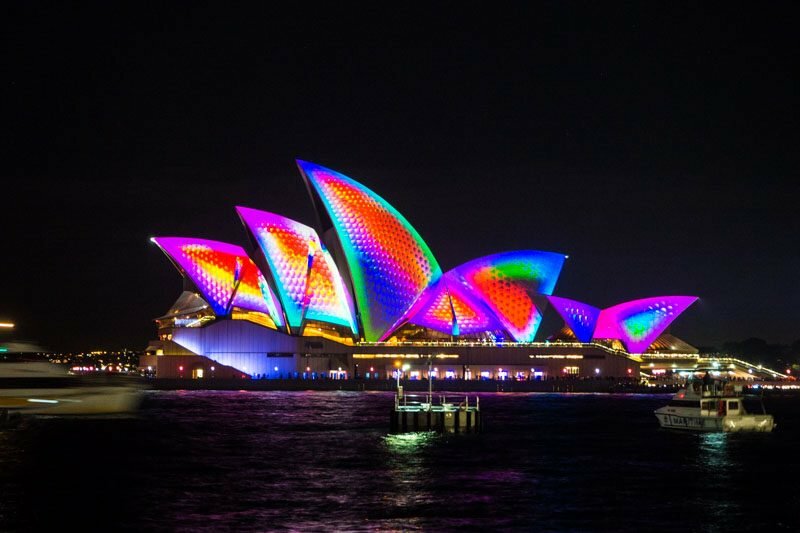 If you’ve just missed the recent Vivid Sydney, you’ll want to make plans to come next year to fill your ‘gram with the creative light installations. We also went on three short tours to soak in all the different cultures and vibes that Sydney has to offer. If you’re looking for a chic city tour, My Detour lets you in on all the secret spots while riding in a beautiful 1964 Holden. The vintage car was enough to get us swooning, but it was made better with the accompanying scenic views and a trip to Bondi Beach, as per request (I know, we’re such typical tourists). We got to taste, see and listen to the stories of the aboriginal history around The Rocks by Dreamtime Southern X. We were lost in the fascinating stories of how everyone has a birth colour when they’re born, and how back in the day, they were to tend and ensure their plant (source of food) thrived for survival. Sydney is big on its street art scene, and we couldn’t have passed up an educational stroll in Newtown with Culture Scouts Tour. Every piece has a story to tell, from tribute art for a lost friend, to vibrant splashes of colours that grow with the artists. It was a pity that we only got to spend two days in Sydney, but I’ll definitely be back to explore more! For the rest of this article though, I’ll be taking you to the Central Coast and Hunter Valley (aka Wine Country)* on a gastronomical trip and point out places to wine and dine at to your heart’s content. Strap in! *Central coast is about a 1.5-hour drive from Sydney, and Hunter Valley is about a 2.5-hour drive. We started our days of round-the-clock eating from when we arrived in Central Coast, and the first stop of the night to fill our tummies was at Bombini. Don’t let the entrance of the facade fool you into thinking it’s a club; it’s far from it! Step right in and you’ll be greeted by this homely setup. We were shown to our seats at the corner of the restaurant and could not help but feel at ease in such a warm atmosphere. While you’re there, you’ll want to get the Hand rolled pici with wild boar ragu & Grana Padano (AUD30, approx. S$30.47). What’s unique is that the pasta had the texture and thickness of Japanese udon and a chewier bite to it, making it a great base for the bold flavours of the wild boar ragu. If your definition to a great morning is waking up to crazy milkshakes, Warnies Cafe is the place for you to have breakfast at. There are five flavours of Crazy Shakes (AUD10, approx. S$10.15) to choose from, and we ordered the Candyland. The strawberry milkshake was topped with fairyfloss ice cream, a giant lollipop, sour strap and lollies (candies/gummies). While we had no trouble gulping down the milk; the candies, on the other hand, required at least two more kids to help with finishing it up. We sure got a sugar rush after! Fret not if you don’t have a sweet tooth, as you can go down the conventional route and order a cuppa to go with an Eggs ‘Benny Style’ (AUD16, approx. S$16.25). You’ve been warned: It’s wines and more wines (with a couple of food stops) from here on. When I saw the sign “Welcome to Wine Country” on the highway, I knew this is where I belong. Usher Tinkler Wine is housed within quaint blue and white cottages, with painted glass windows that were very inviting. The Cellar Door serves a wide selection of salumi and cheese (AUD20, approx. S$20.29 per item) arranged onto a platter to accompany our wine tasting (AUD5, approx. 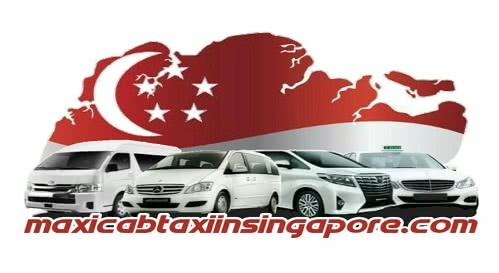 S$5.07 per pax; redeemable on any wine purchase). While most rose I’ve had tend to be sweet and fruity, the Nose-2-Tail 2018 Rose (AUD20, approx. S$20.29 per bottle) at Usher Tinkler Wines was interestingly savoury, with a subtle sweetness that only started to surface after taking a bite of the Longaniza Oscure (Squid Ink and Pork) salumi. My favourite was Mr T’s Rare Batch Fortified (AUD45, approx S$45.65 per bottle), consisting of a blend of sweet caramel, old whisky, toast and spice. It was intensely sweet yet easy to sip on, and just look at that dapper packaging! A pity I didn’t bring one home. Sundays are made for whiling your morning away in a beautiful courtyard, and Cafe Enzo is the embodiment of that. Set within a Tuscan-inspired village, the sandstone building just seemed to whisk us away into another world. You know the cafe is family-friendly when they serve Iced Chocolate (AUD 7, approx. S$7.10) on a storybook, accompanied by a bottle of rainbow sprinkles, melted chocolate, and teddy bear cookies. I’m going to trick my future kids into falling in love with reading by serving them milk like so *grins*. The Wagyu Beef Burger (AUD 26, approx. S$26.38) is the burger of dreams; just look at that thick patty and the accompanying potato wedges. The portion can be rather big, so share this if you’re looking to try other items on the menu. The juices from the meat flowed out while slicing through the patty, which consists of onions and herbs that contributed to the robust flavour. I loved how the slice of beetroot and caramelised onions cut through the richness of the burger. Cocoa Nib will fulfil just about any of your chocolate desires, from handmade bars to blocks, and chocolate-coated popcorn that are all ready-packed as souvenirs to bring home. We couldn’t take our eyes off the variety of bonbons (AUD 2.70, approx S$2.72 each) on display and get down to trying a couple of the flavours. We were told that pastry chef Aymee Slaviero had just returned from an R&D trip to learn how to make the tiny edible art treats shinier and better. I was so glad to be able to pack these babies home and know that they wouldn’t melt or get crushed on the way back to Singapore in my luggage. So load up on the souvenirs here! Tintilla Estate is a family-run vineyard with 18 acres of land that stretches beyond the eye can see, boasting rows after rows of grape-bearing vines. You can stop by for Wine Tasting (four wines – on the house; eight wines – AUD5, approx. S$5.03, refundable on purchase of wine) and explore the estate while you’re at it. Interestingly, the wines are named after the owners’ family members and they have a story to tell. The Spritzanti Semillon Lizzie (AUD24, approx. S$24.14/per bottle) for instance, is named after the winemaker’s wife, created especially for their wedding. It was a fruity, sweet and fun drink to have in the afternoon. Wine and olives are a great pairing, and these Tintilla Olives (AUD5, approx. S$5.03/plate) were picked and produced in the vineyard too from the olive grove. I couldn’t stop popping them into my mouth because they were plump, crunchy and bursting with flavour. If you’re looking for a pretty place for a date night in Hunter Valley, Emerson’s Cafe & Restaurant is the place to impress your date. The candlelight sets the mood and we could hardly wait for the Seven-Course Degustation Menu (AUD105, approx. S$105.61) prepared by Chef Emerson Rodriguez. You’ll find that his dishes are infused with Asian flavours, such as the Mirin Cured Salmon with Wasabi Peas, Pickled Cucumber, Konbu Crisp Rice, Miso Sour Cream. The cured salmon had a bouncy texture and when paired with the various components of the dish, brought about a refreshing Japanese-inspired taste. My second favourite dish that night was the Quail Karage, Black Sticky Rice, House Made Kimchee, Toragashi Mayonnaise. The deep-fried quail wasn’t one bit greasy and was balanced with the tangy house-made kimchi. The black sticky rice brought an earthy flavour to the dish and was rather substantial, considering that we were only on the third item of the menu. Bistro Molines stole my heart at first sight; just look at the tranquil scenery of the vineyard that we had as we dined. I could see myself whiling the hours away here. And of course, the dishes were absolutely amazing as well. The entrees were like paintings on a canvas that filled the table with colours. The Carpaccio of Yellow Fin Tuna, Wakami and Carrot Ribbon Salad, Radish and Tataki Dressing (AUD29, approx. S$29.17) was a refreshing dish. The tuna had a firm yet creamy texture and was well-flavoured by the citrus-based soy sauce. The Baked Figs Wrapped in Prosciutto, Farced with Gorgonzola, Petite Salade and Gorgonzola Cream (AUD28, approx. S$28.16) really did the job in whetting our appetites with its savoury and sweet mishmash of flavours. Moving on to the mains, we had the Twice Roasted Duckling, Braised Red Cabbage with Speck and Peas, Orange Glaze (AUD43, approx. S$43.25). I may have eaten quite a fair bit of duck meat in my life, but duckling has got to be a first. The duckling meat was lean and firm to the bite and had a milder gamey taste. The orange glaze brought about harmony by cutting through the bold flavours of the meat. Bistro Molines should be on everyone’s go-to list when visiting Hunter Valley. We unanimously agreed that we thoroughly enjoyed the visit to Tyrrell’s Wines, not only because of Richard’s warm hospitality but because we had the chance to see the entire enriching winemaking process within the estate. We took a short tour around the vineyard, already with a glass in hand to heighten the experience. We were then taken indoors for a yet another glass of wine, this time straight from the oak barrels. This one has only been aged for a couple of days but the notes were really crisp, light and refreshing. I won’t spoil the experience further – there’s still so much more to the tour and you’ll have to come to really appreciate wines on the next level. Pop by The Cellar Restaurant after visiting Hunter Valley Gardens for a fulfilling meal. If you’re there in the winter, you’ll want to ask for a table in the centre of the restaurant to be close to the fireplace. We had Indian Spiced Kangaroo with Sweet Potato and Onion Bhajis, Pickled Carrots, Lentil Dhal and Coriander Yoghurt (AUD26, approx. S$26.15) for starters. I know it sounds terrible to have the country’s national animal for dinner, but there are more than enough kangaroos to go around and the government is monitoring the species to ensure that it doesn’t get over- or underpopulated. To my pleasant surprise, the kangaroo meat had a subtly sweet aftertaste, and was chewy but did not require a lot of jaw work. If you can’t bring yourself to have kangaroo meat, go for the 300g Wagyu Hanger Skirt Steak – Marble Score 4 (AUD38, approx. S$38.22) instead. Cooked to a perfect medium rare, the centre of the beef boasted a lovely pink hue. Along with the mushroom jus, the wagyu beef was juicy and melted in the mouth in buttery delight. Sydney has far exceeded my expectations with all the sights and tastes that it has to offer, and is a destination in New South Wales that’s not to be missed if you’re a foodie. Want our advice on the best way to get there? We flew by Qantas and were well taken care of by the friendly cabin crew. The seats were comfy and there was ample leg room for a comfortable eight-hour trip. Return flights to Sydney from Singapore start at S$619 (sale) for Economy (prices include taxes, fees and carrier charges). Now, where to next, Australia? Search For Activities in Sydney!